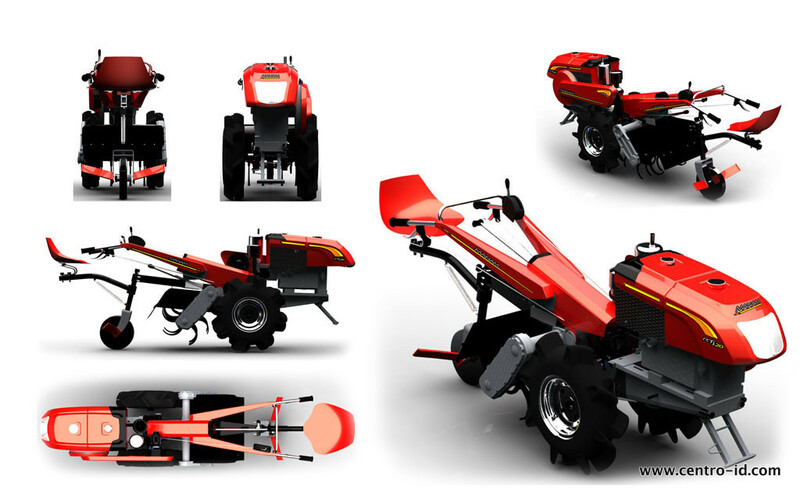 Tillers as a product is a growing market, but most of the manufacturers import knockdown kits and assemble them to sell the product. 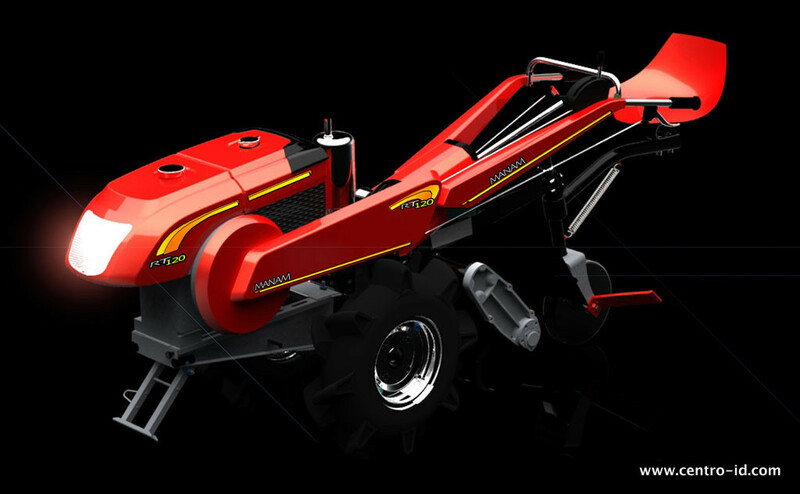 Our client reverse engineered the internals of the tillers, with customised enhanced features of some of the parts and assemblies, to match the performance with the Indian conditions. To enhance the look and feel of the product, the project was given to Centroid to come up with concepts based on the user needs and the scenario. 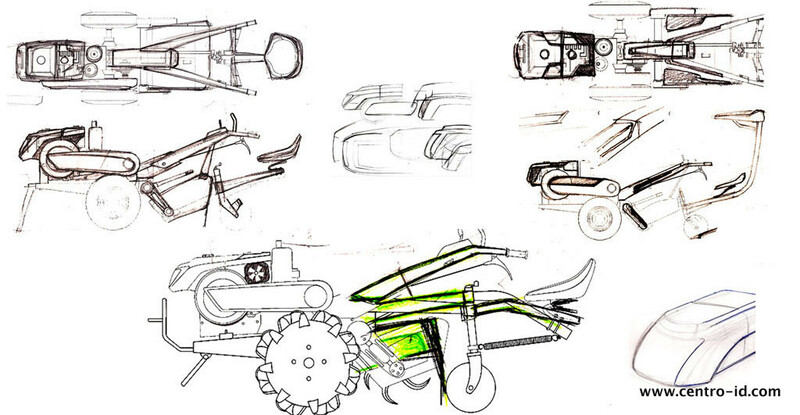 Concept sketches were done to explore different ideas, they were refined further and concepts shown. On the selected concept, quick surface modelling were done, after checking the envelopes for product configuration and ergonomics. The final concept renderings were shown to customers for feedback and refined further.